With this tool managing your OPL game collection was never so easy! +Added tip to run OPLM as administrator when using HDL Dump. Now it searches for the VCD files. Before it was the ELF files. The VCD files should be named the same way as PS2 ISOs. +Added tool to help rename the VCDs with the game ID. -Removed the ICO/COV edit feature from the Main Window. Please use the ART Manager to do it instead. +Added the option to use other HDL Dump versions: 86,90,92. You can find the server ELF's in the lib folder. 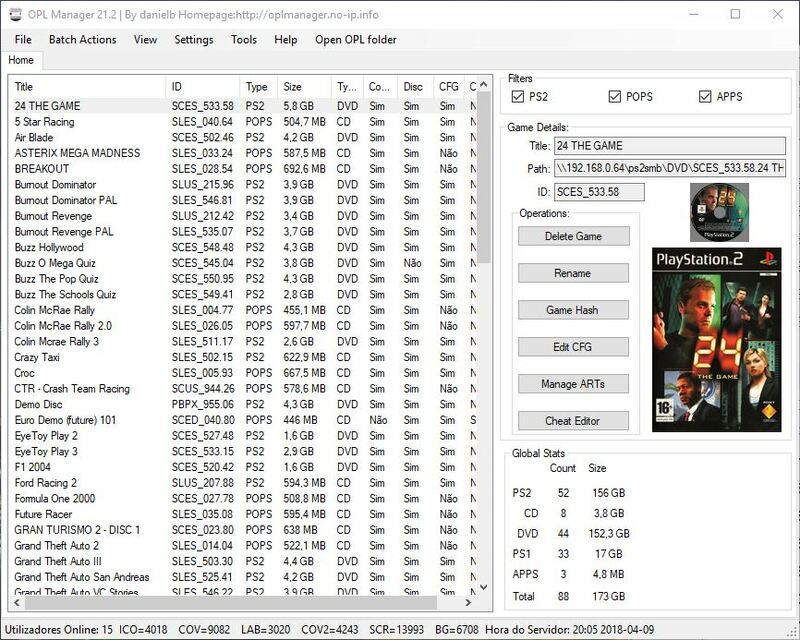 *Fixed crash with UL games that have nonstandard game id. *Changed the default iso format to the old one. *Minor GUI arrangement changes on Manage Arts interface. *Users now are always tracked by a unique identifier--this is required to keep track of the art uploads and provide further assistance when users report bad ART or etc. -Removed obsolete option to download ART from OPL server. *Fixed more issues when using screen scaling. *Changed the version name scheme. *Fixed strange game id's in UL format crashing OPLM. *Fixed fetch title from db with special characters. *Fixed file in use when using new iso file name format. *Art Reports now are required to have a explanation. *Fixed multiple issues when using screen scaling. server didn't match the current selected game. +Added a feature that tries to emulate OPL on PC. Requires compatible themes. One theme by Jay-Jay included. OPL Themes can be ported easily. Uses XML for theme CFG. +Added support to recognize POPS elf in POPS folder. +Added support to edit CFG for POPS games. +Added tool to install any elf to the APPS folder. +Added support to drag cover & disc images out of OPLM. +Added support to change between old/new iso naming format. +Added support for game cover spine (LAB). +Added character limit in multiple input boxes in CFG Editor. +Added game title (from OPLM DB) to ART report window. +Increased Game CFG version to 4. +Added Modes setting to CFG Editor and CFG Update. +Added Sports Genre to CFG Editor. +Added some Cheat Devices to CFG Editor. +Added feature to remember the main window splitter position. +Added link to facebook and official website. +Added support to export game list to CSV file. *Fixed Batch download not remembering settings. *Fixed Batch share start button not enabling. +New Game ART Manager! Old one kept just in case. +Support for USB Extreme/Advance (ul.cfg) games! +ART and SCR count on status bar. +Added a handy button to open the OPL folder in windows explorer! +Now checks if theres ART CD DVD folders on startup! Thord, TnA, Tupakaveli and 3 others like this. Thanks @danielb for a great tool. 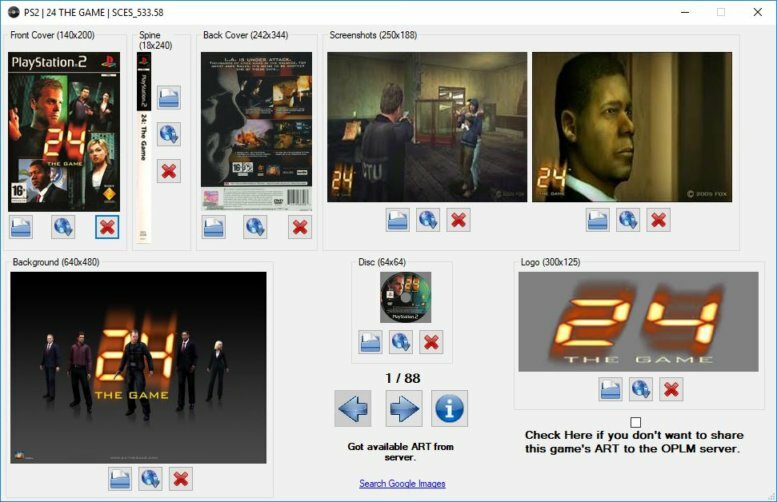 OPL Manager 21.3 - Tool to manage your games is out! Algol, TnA, jolek and 1 other person like this. it saves cover art on my pc not on the internal ps2 hdd why is that ?? 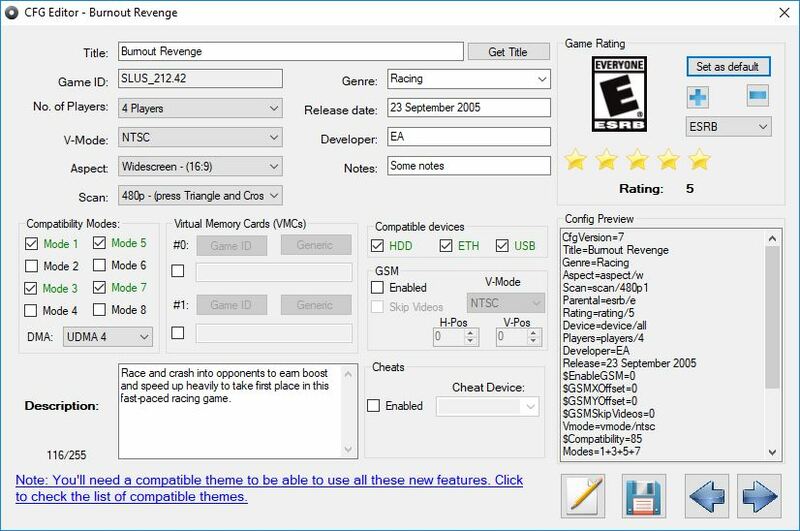 OPL Manager 21.4 - Tool to manage your games is out! Thord, TnA, danielb and 1 other person like this. This is an amazing tool. I was wondering is there any ability to auto download CFG similar to the ART download? That way the description, genre, release date, etc. could be automatically populated?